What is Demineralized Water Used for on Offshore Platforms? Failing to remove minerals from water can destroy certain O&G processes & equipment that are critical to maintaining production uptime. Demineralized water is required for a wide range of applications in the oil and gas industry, and providing a source of this ultrapure water on an offshore platform is vital. Demineralized water is water that has had all minerals, ions, and salts stripped away, resulting in an ultrapure product. There are several ways to remove minerals from water including ion exchange, reverse osmosis and electrodeionization. These methods are very effective at removing most minerals, including calcium, iron, magnesium, nitrate, sodium, sulfates and more. If you have a need for demineralized water on your offshore platform, the IFS oil and gas skid manufacturers will have the right solution for the job. There are three main phases of oil recovery: primary, secondary and tertiary. The tertiary recovery phase is also known as enhanced oil recovery (EOR). Though it can be expensive to employ on offshore platforms, EOR is used when the primary and secondary recovery methods aren’t efficient enough. 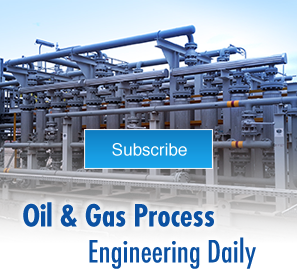 With this process, steam injection tends to be the most common method that gets results in offshore O&G. It’s typically used in shallow oil reservoirs, where the oil is more viscous than usual. Steam injection heats up thicker oil, which can lower its viscosity, making it easier to pump to the surface. This method of thermal recovery is predominantly used onshore, but modular pumping packages have improved the availability of thermal EOR on offshore platforms. High-purity boiler feed water is needed for steam production, making demineralized water a core component of enhanced oil recovery. If you’re going to need to use the steam injection process for oil or other purposes, consider these IFS Upstream Oil & Gas Packages. The oil industry is not the only field that can use demineralized water on a regular basis. There are applications in everything from the food and beverage industries to the cosmetics field. For instance, the manufacture of medicine, makeup, and electronics all require the use of demineralized water at some point, typically for product rinsing. This type of water is also used in car batteries and vehicle cooling systems, where allowing minerals to collect over time could inhibit important functions. In addition, the food industry uses demineralized water for sanitizing equipment and food containers. And in the power industry, demineralized water is necessary to make steam, just as in O&G. This is because the boilers produce steam, after which the water particles are gathered up and reused for boiler feed water. Since it’s reused, it’s important to ensure there are no impurities—including minerals—in the water to begin. Otherwise, chemical reactions may occur, which can destroy the parts on the boilers over time. No matter what demineralized water uses you have in mind, you can get what you need when you come to IFS. Contact us today for more information about our upstream products.